The revenue tally was equally unimpressive: $1.95 mm, compared to $12.7 mm for New Jersey. The Garden State incurred heavy losses on the Super Bowl, and from the looks of it, some Pennsylvania books didn’t fare all that much better. Despite the first full month of reporting from three books in February — at Parx Casino, the South Philadelphia Race & Sportsbook, and Harrah’s Philadelphia — handle was down roughly $500k from January. While the lack of month-over-month growth is not all that surprising, as New Jersey also saw its handle wane slightly, the raw figures are downright depressing. Neighboring New Jersey saw its retail venues collect $61.5 mm in February, roughly twice that of its neighbor. But that’s nothing compared to what the state took in via online sports betting handle: $258.9 mm. Online betting handle in New Jersey now represents more than 80% of total handle, a percentage that has jumped every single month that the state’s industry has been live. New Jersey generated more handle on the Super Bowl — $34.8 mm, a figure deemed a disappointment — than the Pennsylvania market did for the entire month. Enough said. 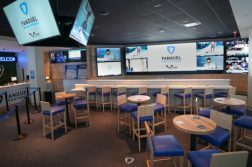 On a sole positive note, Pennsylvania should see a substantial uptick in betting handle this March, thanks to March Madness wagering, and the opening of a Fanduel-branded sportsbook at Valley Forge Casino, as well as the recent debut of a sportsbook at Valley Forge Turf Club. It’s hardly hyperbole to say that a state without statewide mobile wagering (and not that in-person registration nonsense), might as well not bother with sports betting at all. But that’s why the situation in Pennsylvania is so bewildering: This is a state that has legalized online sports wagering but refuses to pull the trigger. Originally, there were musings that online betting would go live in November 2018, then January 2019. That same month, Pennsylvania Gaming Control Board Executive Director Kevin O’Toole issued a memo that all operators take 30 days to provide their plans in accordance with the new DOJ opinion on the Wire Act, specifically stating that the industry “comply with the federal law in all respects in establishing [their]gaming operations which now must be entirely intrastate.” In other words, another delay, resulting in a new rumored launch period of late Q1 2019. Since, operators have adjusted their timelines again, with a new go-live date of possibly June, but more likely July. When will it end? Will operators miss out on the start of another NFL Season? It wouldn’t be entirely shocking at this juncture. This is a state that stands to collect a sizable windfall from online sports wagering, as it has set an egregious tax rate of 36% on the activity. Inevitably, this will result in higher vigorish, which will detract some otherwise willing customers, and rightfully so. But their absence will hardly offset all the extra tax money the state will collect from those prepared to look past the 33-cent lines on point spreads and totals. Books powered by Kambi — all books outside of Penn National and Harrah’s — accounted for 79% of betting handle. 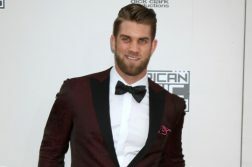 The burgeoning provider also powers several books in New Jersey, including the popular, although waning, DraftKings Sportsbook, and Play SugarHouse Sports. It comes as little surprise that Rivers was the market share leader, as it remains the only sportsbook in the Pittsburgh area. On the flip side, SugarHouse’s handle dropped precipitously, from $10.8 mm in January to just $7.1 mm in February, a byproduct of both the same negative factors that afflicted the entire industry but also increased saturation in and around Philadelphia. The Super Bowl curse appeared to hit Penn National particularly hard, as it only generated a laughable $13.9k in revenue. Overall, it appears the state’s retail market wasn’t beat up quite as badly as New Jersey’s was on the Big Game, where multiple books reported losses for the month, some as great as -$500k or more (Monmouth Park, Borgata).